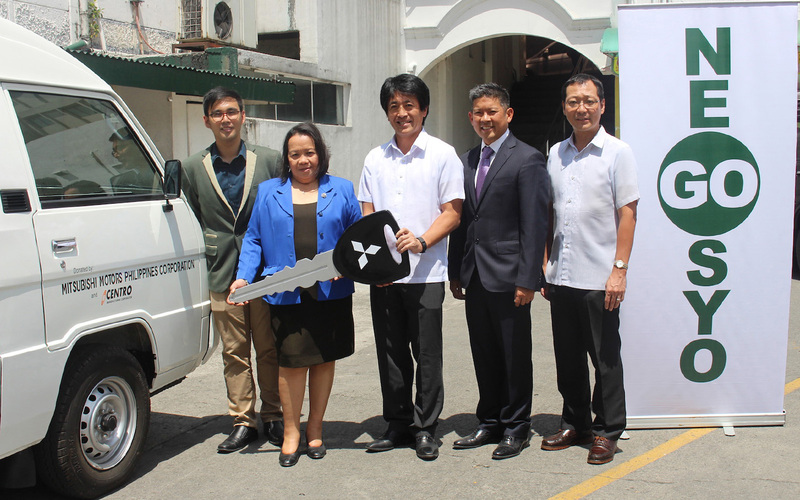 Mitsubishi Motors Philippines Corporation (MMPC) teamed up with one of the leading truck body builders, Centro Manufacturing Corporation to donate a Mitsubishi L300 XV microbus to the Philippine Center for Entrepreneurship (PCE) GoNegosyo. The turnover ceremony was attended by Presidential Adviser for Entrepreneurship Mr. Joey A. Concepcion, Philippine Center for Entrepreneurship – Adviser for Entrepreneurship Development Ms. Merly M. Cruz, MMPC President and CEO Mr. Yoshiaki Kato, and Centro President Mr. Raphael T. Juan. Impressed by PCE GoNegosyo’s commitment in providing programs for aspiring entrepreneurs, Kato expressed MMPC’s support for its “KAPATID, Angat Lahat Project”. KAPATID is an initiative launched in August 2016 that encourages medium and large corporations to help micro and small enterprises (MSEs) through the use of inclusive business models. The KAPATID Project will develop programs to partner MSEs with medium and large enterprises as part of their value chain and they will use the brand new L300 XV microbus in their logistics management as they roll out their programs nationwide. In his speech, he also mentioned that the L300 model is the go to workhorse vehicle for micro, small, and medium enterprises because of its proven reliability, affordability, and low maintenance cost. 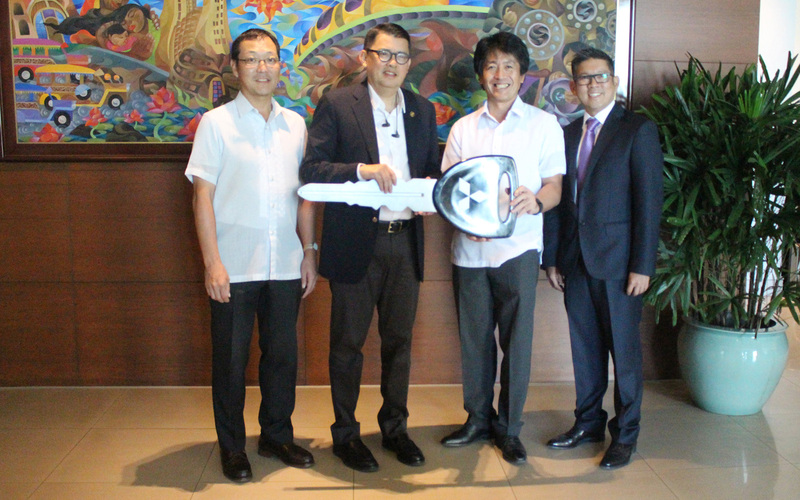 He also added that the local production of the L300 utility vehicle has created jobs not only in MMPC but also to local parts suppliers and truck body builders such as Centro Manufacturing Corporation, contributing to the growth of the Philippine automotive industry. Concepcion on the other hand said that with the donation of a brand new L300 XV microbus, MMPC and Centro will help ensure that PCE GoNegosyo will be more successful in creating a positive entrepreneurial culture and enterprising climate that will help eradicate poverty in the Philippines.